The fact that Stephen King and J.J. Abrams – arguably two visionaries in their respective fields – are attached to Hulu’s Castle Rock series is exciting in and of itself, but today we have confirmation of the show’s first casting coup: André Holland, star of the Oscar-winning Moonlight. Rooted in King’s mind-bending multiverse, for the uninitiated, Castle Rock gets its name from the fictional town in King’s native Maine. It stands as an anchor point across the author’s rich body of work, appearing in novels, novellas, short stories and other works of fiction. 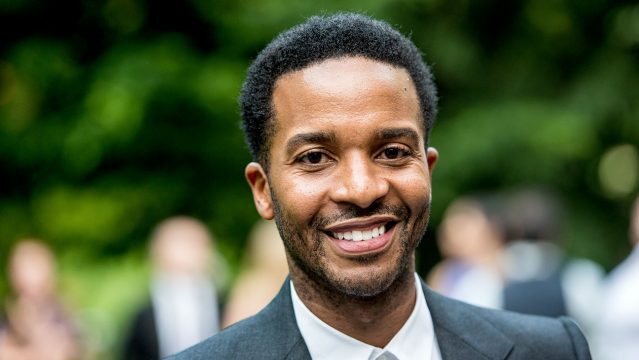 André Holland, meanwhile, has sealed a deal to Henry, a “death row attorney with a unique and complicated history in Castle Rock, Maine.” It’s by no means his first venture into the realm of television, either, given that Holland’s credits include roles in The Knick and FX’s American Horror Story: Roanoke. It’s early, early days on Hulu’s Castle Rock series, but now that King and J.J. Abrams’ casting spree has begun, expect further details to emerge in the coming weeks. Meanwhile, longtime fans of all things Stephen King can look forward to the one-two punch of The Dark Tower (August 4th) and It (September 8th) later this year.